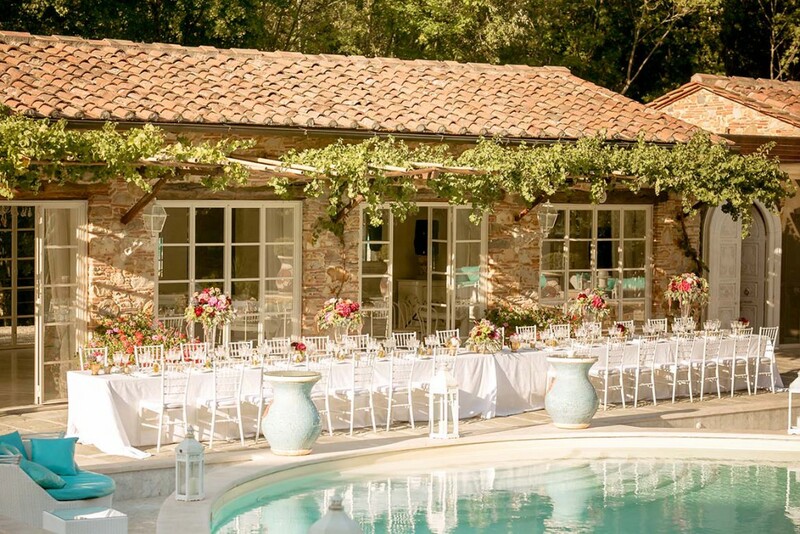 For Selin and Sebastian, a very special dream came true with their summer wedding in Tuscany. 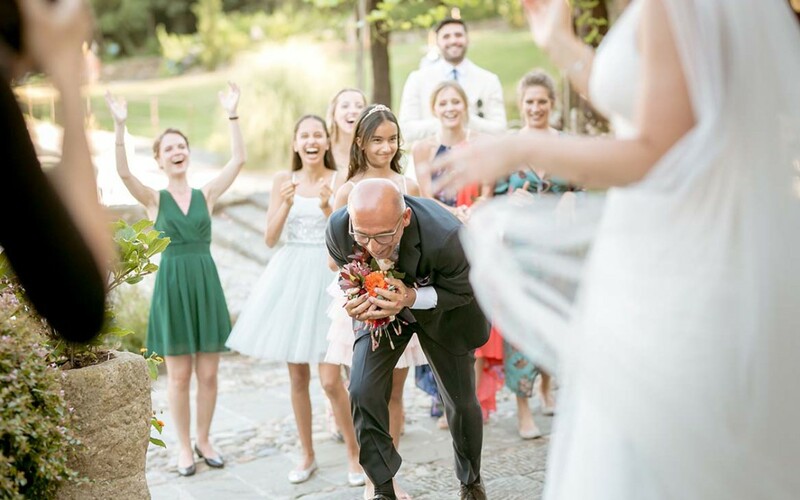 The couple from Germany have always been fond of this beautiful Italian region so it’s no surprise that they chose a fantastic location set in the middle of the Tuscan vineyards. As another plus point, the location was easily accessible from their hometown of Munich. Sebastian was already living there but Selin was from Stuttgart so it was a happy coincidence that they got to know each other at work! 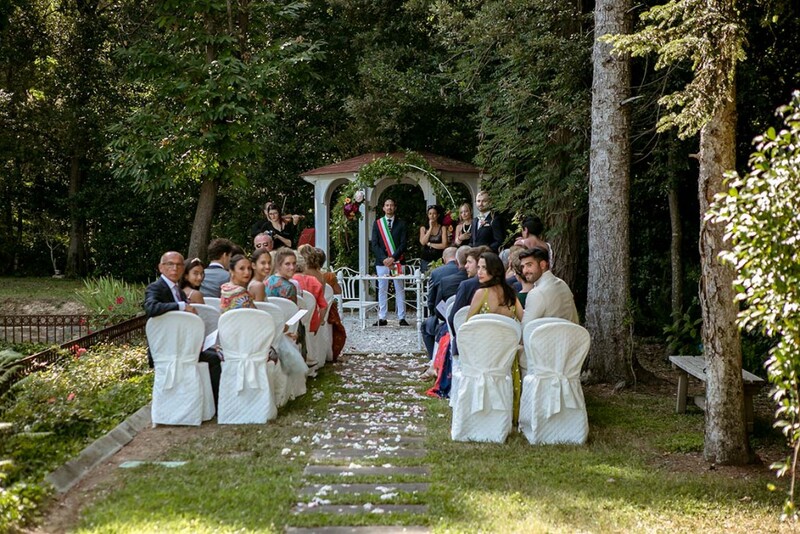 Owing to their shared love of Tuscany, they decided to celebrate their wedding in this wonderful region. The charming luxury location they chose had a spacious outdoor area and a pool as well as a truly unique ambience. 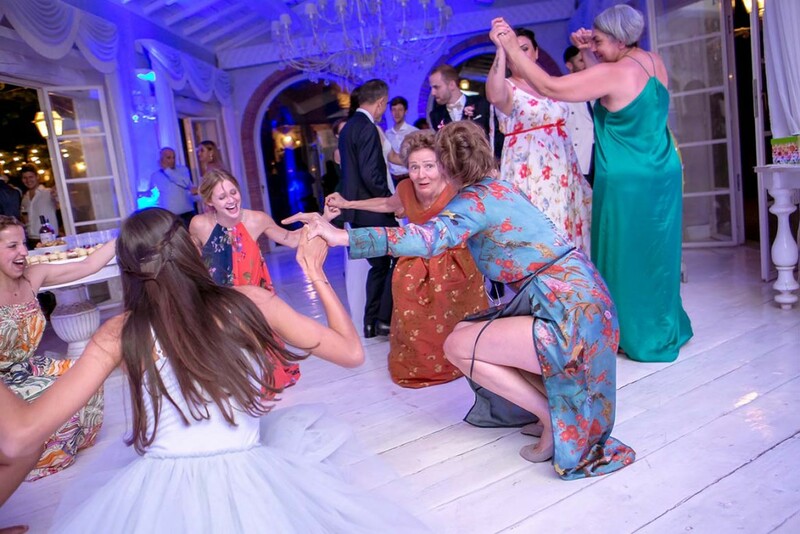 They were able to rent the location exclusively for themselves and around 35 guests for three days – a great way to enjoy their wedding to the full. 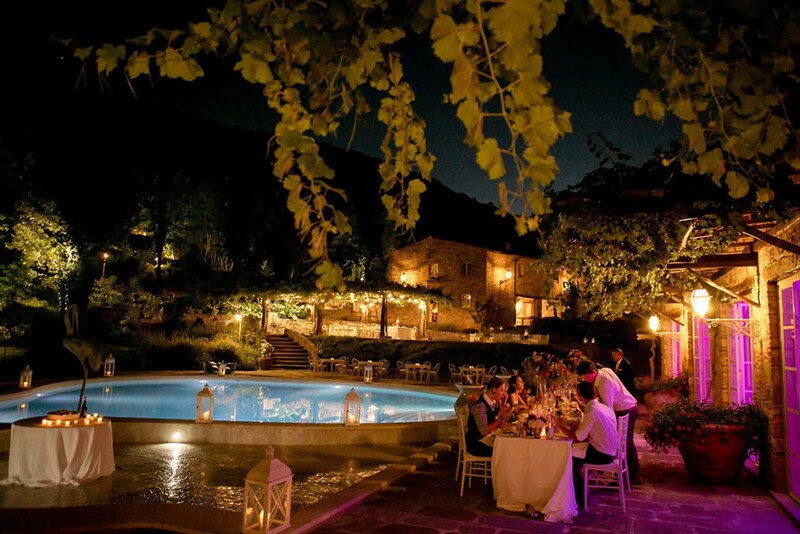 For example, a rustic dinner the evening before the wedding ceremony provided a warm welcome for the large group. The wedding day itself was a lovely hot summers day so the villa’s private pool allowed guests to cool off in the morning. In the meantime, Selin was getting ready for her big moment with the help of her personal stylist who had come to the villa. 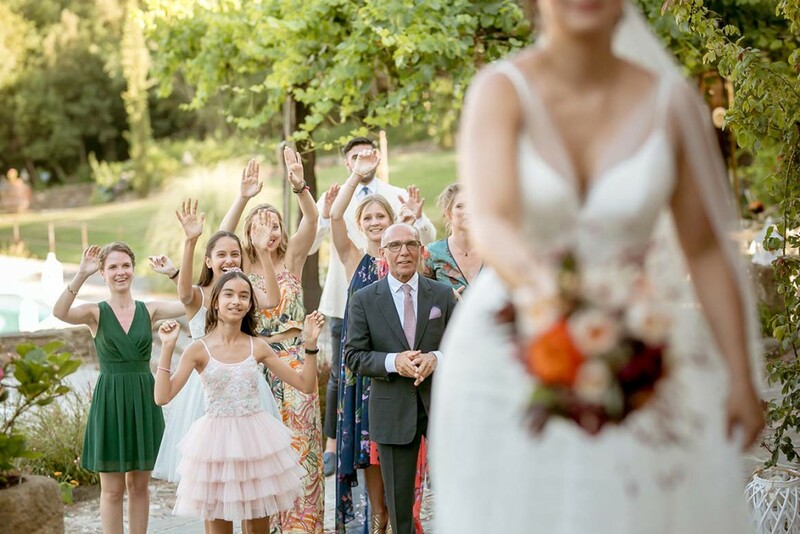 The civil ceremony took place in the afternoon and as the location is a registered wedding venue, it took place on the spot – and in the open air! A festively decorated pavilion set in the spectacular garden provided the perfect backdrop. 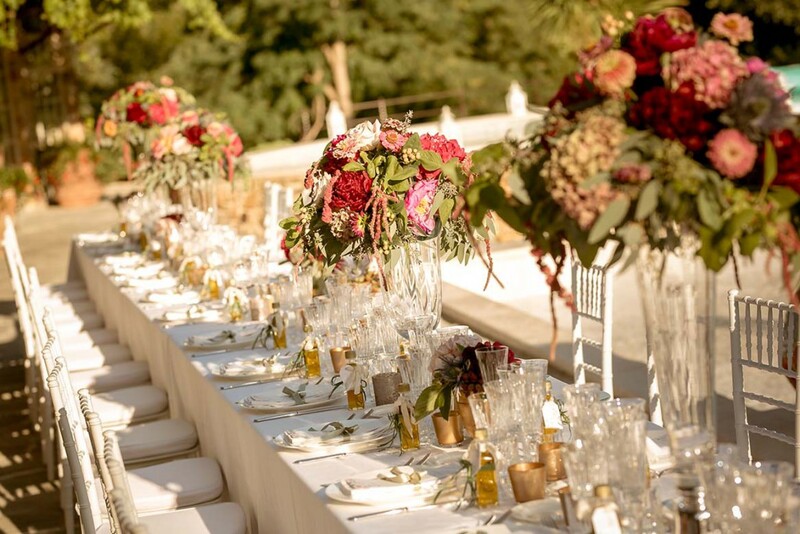 The wedding was followed by a champagne get-together while later in the evening, a delicious wedding dinner was laid out on a long and elegantly decorated table. 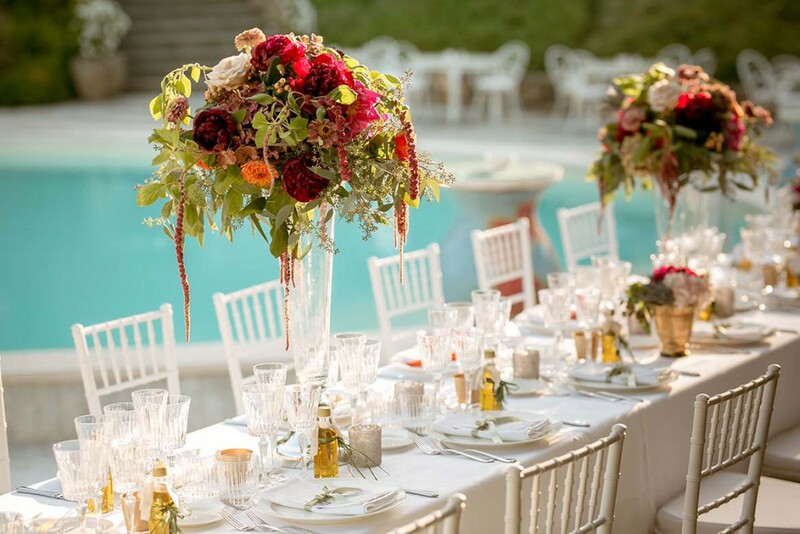 Colourful floral decorations in bold colours made eye-catching centrepieces. Even after dark, the striking rustic atmosphere was continued with lots of small tea lights, lanterns and fairy lights twinkling around the garden. Selin and Sebastian’s wedding day finished with them cutting the wedding cake along with entertaining music and dancing.